Ofcom has said local DAB multiplex operator MuxCo can't extend its licensed area to serve Swansea. A request by MuxCo to extend the licensed area of its Mid and West Wales multiplex to cover Swansea was put out to consultation earlier this year. Ofcom received three responses to the consultation – one from the holder of the Swansea local radio multiplex licence, Switchdigital (S&S) Limited (“Switchdigital”), opposing the request, and two other responses from individuals who were in support of the request. In a statement released today explaining its decision, Ofcom commented that while it agreed that the proposal would not narrow the range of digital stations in the area, it noted that the request, if approved, "would not result in local DAB coverage being extended into an un-served area as there is no proposed change to the coverage of the Mid & West Wales multiplex. Indeed, in its application for the change MuxCo stated that the purpose of its request was to “formally incorporate coverage [of the city and county of Swansea] that the multiplex already delivers”. 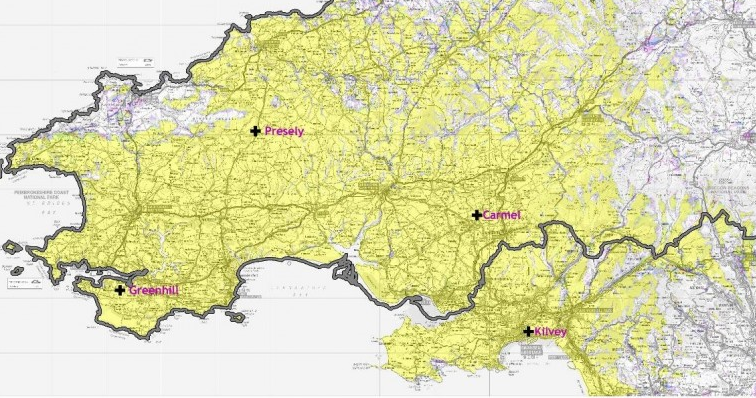 Since the proposal would not provide a service in an un-served area as the Mux Co service is already being transmitted in the Swansea area, its provision would not in itself enhance consumer choice in terms of the services available in the Swansea area (listeners would continue to receive the services they are able to receive currently) or result in an increase in competition in that area." The regulator also found insufficient evidence to be satisfied that there are sufficient safeguards in place to protect the rights and interests of other multiplex operators in the area. Additionally, as part of the recent Government Digital Radio Action Plan, Ofcom was asked to plan local DAB coverage to ensure that listeners to local FM services would not lose reception in the event of an analogue switch-off. Ofcom's approach to that plan (which was the subject of a consultation) was to match as closely as possible the editorial areas of local analogue services rather than necessarily the areas they reach with a signal. In reviewing the proposal, Ofcom said it doesn't consider that extending the licensed area of the Mid & West Wales multiplex to include Swansea would be consistent with these core policy objectives, nor its underlying policy aim, as it would represent the ‘formalisation’ of overspill coverage rather than an extension of local DAB coverage to better match the coverage of relevant FM services to allow for a migration to universal local DAB transmission. As a result, Ofcom rejected the proposal.